Opendime is a new way to transact Bitcoin in physical form. It’s basically a bearer bond for Bitcoin, that you can trust and verify. There has been a ton of interest and our first batch of units sold out in days. We shipped the entire batch this week, and those lucky customers are now trying them out! These early units are still a little messy with the security goop. 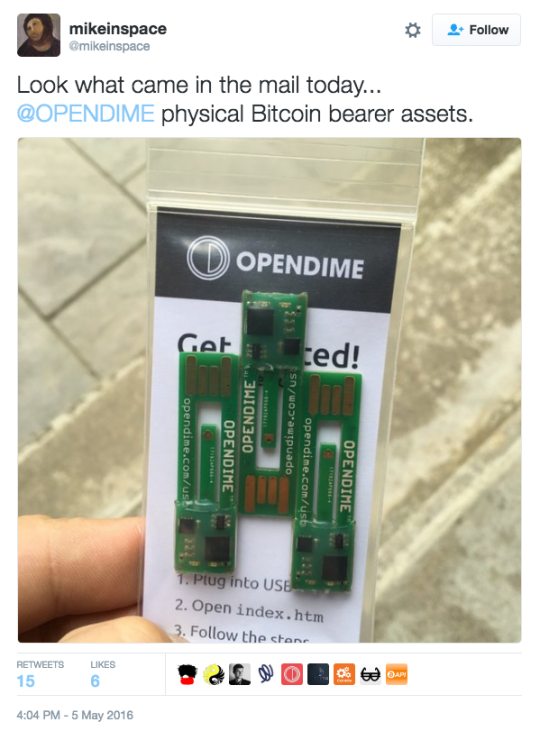 Learn more about Opendime and get in line for the second batch which is also selling quickly right now. We will wait for feedback on the software before building the next batch, but we’re hoping there is enough interest to make it a big build!